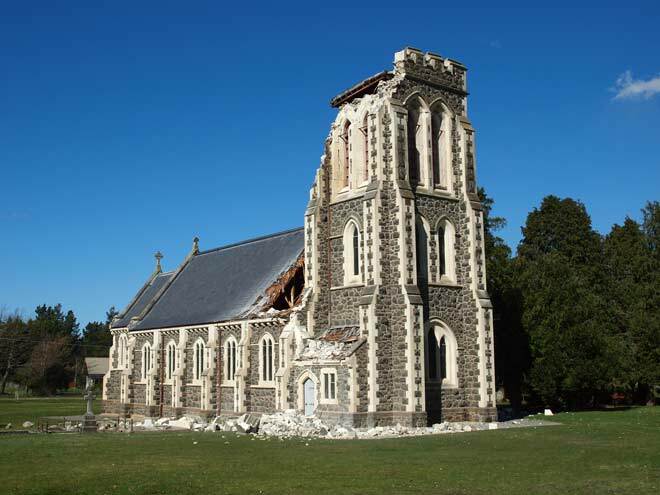 St John's church in the small farming locality of Hororata was badly damaged in the Darfield earthquake. Part of the unreinforced bell tower collapsed and crashed through the roof, smashing the organ into splinters. Had the earthquake occurred while a service was in progress there would undoubtedly been casualties. The community quickly began fundraising towards the estimated $3 million to repair and strengthen the church. Registered as a category two building on the Historic Places Trust register, it was built in memory of Rose Anne Hall, the wife of Sir John Hall, former prime minister of New Zealand. The church was built around 1910 and had not been earthquake strengthened.